I've done it, dear readers! 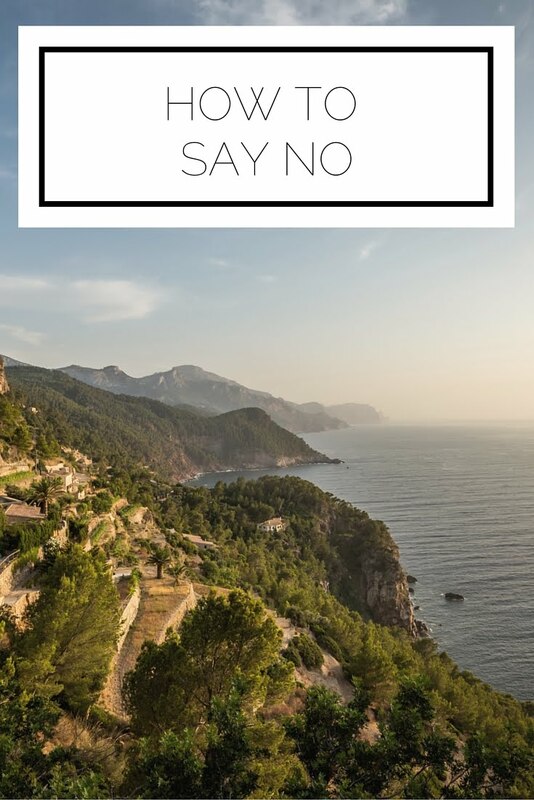 I finally was able to say "no" to not one, but two opportunities that I desperately wanted to say yes to because I know that I would be spreading myself too thin if I were to do it. I have struggled with overcommitting myself for years. In high school I did everything and took on leadership roles in nearly all of my activities. In college the same trend was starting, but I've kinda sorta managed to hold back a little. You read so much advice on why you have to say no to certain opportunities and why investing yourself in quality over quantity is important. Yet, I haven't come across any practical advice for convincing yourself to say no, plus actually saying it to the person who has asked something of you. No doubt I am not an expert at this (I fail much more than I succeed in this regard), but here is my advice for saying no. Is this something you should be saying no to? First you have to ask yourself if this is something you can take on, if it would be worth it to sacrifice putting your time toward something else, or if this is something that you can manage. I find it helpful to take an honest look at what my current time obligations are and prioritize. As of now, positioning myself for a career is priority number 1, so if the opportunity would further that goal it is one to seriously consider. If not, then it is probably wise to decide to bypass it. Express your gratitude for being thought of. If you have displayed the ability to perform and someone has recognized you for it by asking you to do something, you should be flattered! Be sure when you are actually saying no that you thank him or her for reaching out to you. Explain your reasoning. This doesn't need to be long or drawn out. You can simply say that there isn't any room in your schedule or that it is not a feasible commitment at this time. Be firm. If you give a wishy washy response, you will probably be asked again or feel yourself getting pulled in despite your desire not to be involved. By being firm in your answer you prevent having to respond to the request again or feel guilty about saying no. Be confident that you made a good decision. I tend to beat myself up after saying no to an opportunity, wondering if I could have taken it on, or regretting not doing it by convincing myself that it would have done x, y, or z for me. If you are careful to make a good decision at the outset, give yourself permission to let go and focus on everything else you have going on! Do you struggle to say no? What are your techniques for dealing with this? I struggle to say no ALL THE TIME. Something else I do is if I'm asked on the spot I ask for time to think about it, then you can always craft a better rejection via e-mail or text later! That's a good idea to ask for time! It also gives you the chance to really evaluate if it is a good decision for you.